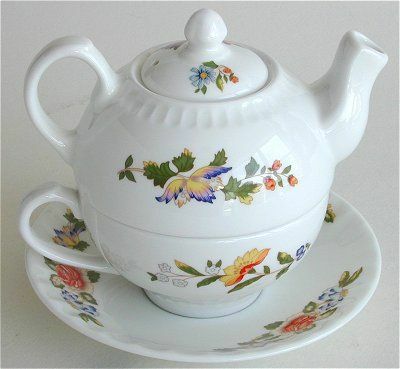 With its foundation firmly in the heart of the Potteries Aynsley China has a history stretching back over the centuries. In 1775, John Aynsley established a factory at Lane End (now Longton) and became one of Stoke-on-Trent's earliest master potters.Little did he know, that what had begun as a hobby and developed into a small business, would continue to grow and prosper over the next 200 years to become one of the leading influences in the British china industry. 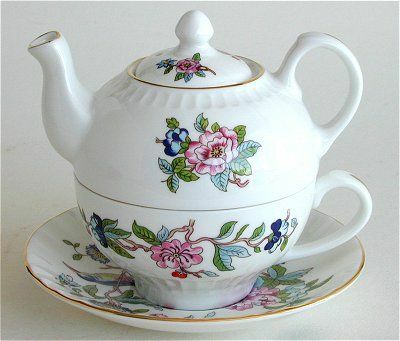 When his grandson John Aynsley II took the reins, the company moved to the forefront of fine bone china making, with the new practice of adding calcined bone to the china recipe. 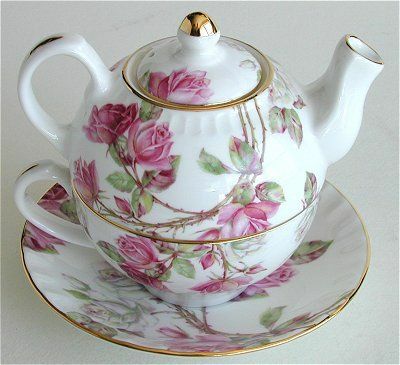 We are pleased to offer their fine bone china Tea for One sets. 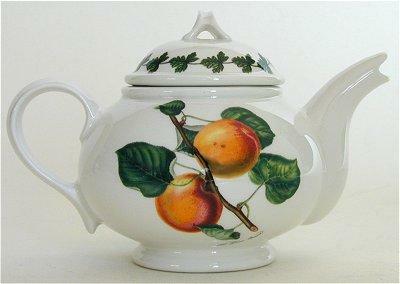 Fine Bone China with very nice detail. 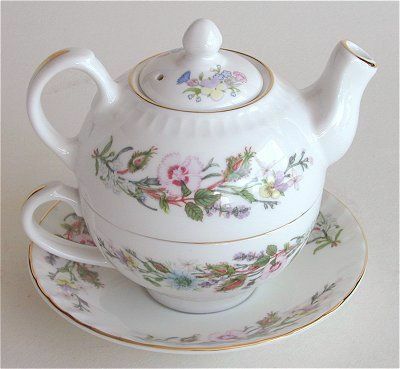 Fine Bone China with very nice detail which any gardener will appreciate.I have shown the saucer in the large photo so that you can see the assortment of images used.